So we had a great Halloween, zombie walks in support of NSPCC and stuff. The one blemish on an otherwise great time was our booking for the Scream Factory 2012 extreme tour – essentially a horror walk in some woods late in the evening. Now before we start, I’m sure it was a great event, lots of volunteers, all had a good time, huge success, and everyone who could get to it before it closed said it was great fun. But (you knew there was a but coming didn’t you) First of all after promoting online sales as cheaper than on the door tickets they dropped the price of door tickets to even cheaper, and offered no refund for the difference, then they cancelled the Friday and Weekend shows due to bad weather, despite the FAQ and the terms and conditions of tickets clearly stating it will operate in all weathers. I apologised but I refused to send my complete banking details to someone I do not know in an insecure email. (I’ve also turned down what seems like a nice Nigerian prince who keeps emailing and offering to transfer a millions dollars if I just send him my details!) I suggested either making the refund through the original booking website they promoted for advance bookings, or I suggested acceptable alternatives were via paypal, or send a cheque to my home address. I have even suggested a postal order. Only to be told they do not have a cheque book, could not use paypal, and no longer had access to the booking website, but they did assure me me that they would delete all my banking details after they had used them! Is that the best an events company can do? Essentially – “Sorry we broke the T&C’s of the event and can you send us all your bank details?”. Sorry but that just ain’t gonna happen! So with them already promoting their 2013 “Carnival of Carnage” I’m looking forward to much fun on twitter and Facebook as I will be sure to pass comment on their booking system, ticketing prices, all weather capabilities, communications and business payments. Although you never know, I might actually get my refund by next Halloween! You do have to wonder about a chap in the business continuity profession who doesn’t even have a reliable plan for coping when his event is weathered off don’t you? Hardly a glowing recommendation for their ability to cope with fairly predictable weather conditions in the North East in Winter. Nor is it a massive endorsement of their business practices that they need all your personal banking details to make a payment! So Ridley Scott has signed up to make another Blade Runner film. Â They’re still not sure whether it’ll be a sequel or a prequel yet. I guess the accountants haven’t figured out which will generate enough cash. Â But it got me thinking. We still look at 30 or 40 year old films as the height of science fiction film making. Whilst technology has allowed film-makers to portray their imaginations on the big screen it seems to have gone hand in hand with a collapse in orginality and invention. Now the film studios quite clearly favour style over substance, which is a shame, and bad business. Good films with crackign stories are timeless and from their point of view generate income for decades. 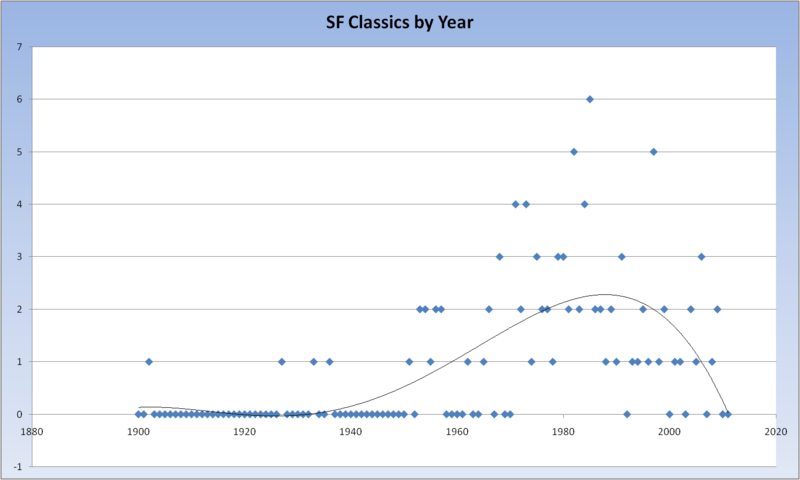 You only have to look at the longevity of the original Star Wars or Blade Runner. I wonder if originals like Cowboys and Aliens or endless remakes of PlanetÂ of the ApesÂ will still be dicussed when they are 40 years old? With all the chaos of revolutions, quakes and wars going on, a piece of news may have gone un-noticed this week. Nicholas Courtney, better known to many as simply The Brigadier died aged 81. I’ve been listening to my collection of Scarifyers radio shows, in which he stars as Inspector Lionheart, and every time they bring a smile. I heartily recommend them to you if you’ve ever enjoyed lovecraft, Dr. Who, Doc Savage, Quatermass or Bulldog Drummond. Fantastic rollicking adventures. A marvellous actor who brought serious entertainment to many. There aren’t many actors who after 30 odd years can still be remembered for a phrase, and I am sure MI-13 and U.N.I.T will be worse off for his passing. John Lennon has been dead for 30 years today. Lots of comments and memories all over the internet. Someone on Britains-Got-X-Pap-Idol-Talentless-Factor has decided to sue. …illness affects her hearing, wants to bring an employment tribunal against BGT and Cowell for disability discrimination. Now I’m all for anti-discrimination for serious stuff, you know, racism, sexism, ageism (obviously we can persecute Gingers, I’m not stupid…), but surely if you go on a talent show, and display a lack of it, you are going to lose? It’s a contest, thats the point you useless tone-deaf moron. It’s like the England poofball team demanding a replay and a 5 goal handicap for Germany because they’re talentless ponces, then suing the German team for humiliating them by sticking even more goals in the net. I think that ship has well and truly sailed, and she was happy to wave it off when she thought she was on to a good thing. Now she’s adding moneygrasping legal ambulance chaser to her list of uselss, talentless, tone deaf, unrealistic, fame-chasing wannabee biffer. What? Like all the people who suffered having to listen to a howling screeching witch suddenly thrust onto their TV without warning? Andy Hamiltonâ€™s comedy of life in hell, particularly the first 5 series from the point of view of the Professor who is banished there for his staunch atheism. The comedy often revolves around Satans futile attempts to convince the Prof of mankinds base immorality, or later on to try and stop the overcrowding problems in hell by returning to Earth to help mankind mend it’s ways! I only discovered these last year. Ham filled tales of daring-do set in the 30â€™s as Insp Lionheart of the Met and Prof Dunning take on all manner of demons, ghost, ghouls and foul fiends intent on nefarious deeds. If you love Lovecraft, Sherlock Holmes or Doc Savage then this is for you. There are free downloads on the website, try them out â€“ the trailers give a good feel for the pace and wit of the stories themselves. They even managed to get Brian Blessed to star in the latest story! The next instalment â€œthe Secret Weapon of Doomâ€ is due for release this summer. I will have it on pre-order, what better recommendation can I give? Although unlike most other musical tastes I have, I’ve always loved the KLF. A big fan of the Illuminatus trilogy that had a profound effect on their work, and thought their spoofing of the Turner Prize was an act of artistic chaotic genius. Artists? Con Artists? nutters? or possibly all of the above….